Tonight, the Cardinals had their final warm up before it really starts to count on Sunday afternoon. They beat Bellarmine 72 to 57 but, I don’t think the Cardinals were as sharp as they wanted to be tonight and think that they recognized after this one that they still have some work to do. Hats off to Bellarmine for taking it right to the Cardinals. This game will help this team down the road. Playing a team like Bellarmine that took the punch and kept bringing it was much better than playing a team that laid down. This team learned tonight and that’s what exhibitions are all about. I was really impressed with Jordan Nwora who had 8 points and 8 rebounds. This kid is going to develop into a very good player and I’m looking forward to his 4 years here. You aren’t going to see many guys his size be able to do what he can do. He has the finesse game and can stop and pop from anywhere on the floor and can bang for the rebounds. His tools are impressive. 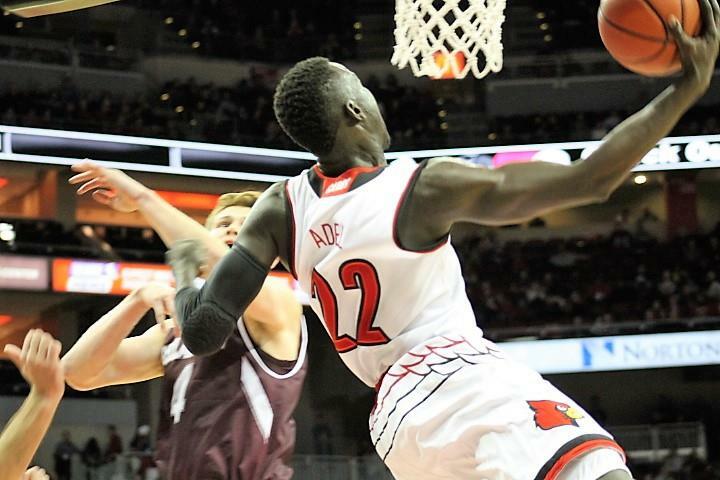 And Deng Adel is going to have himself a season as well. Talk about having all the tools. He finished tonight with 21 points. When he decides he’s going to take the ball to the rack then he’ll get it there. His baseline dunk tonight was next level. This team will have to clean up some things on the defensive side of the floor as it does every season around this time of the year and really needs to learn how to protect their possessions better. They had 20 turnovers tonight. I think this will get better as this team learns how to play together. Right now, there is too much rushing and trying to do too much. But after the final exhibition I’m still very optimistic about the season ahead. There will be some growing pains along the way but there is so much talent and athleticism that they can’t fail. We’ll get a better idea after Sunday because the George Mason team will be another tough early test.